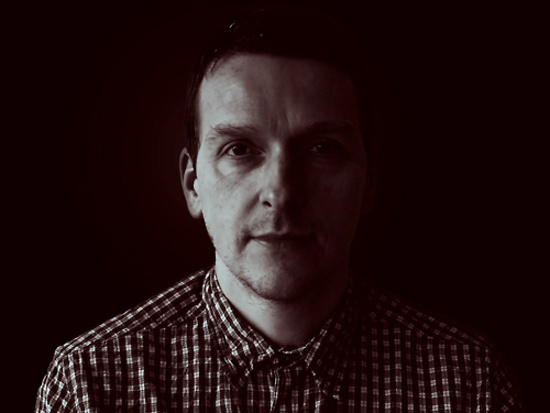 Justin Broadrick, the man behind, among other things, Godflesh, Techno Animal and Jesu, is set to release a new album under the name JK Flesh this spring. Entitled Posthuman, it's a bleak, crushing, mechanical sort of beast that recalls his work with Techno Animal and also sits nicely alongside similarly blackened recent electronic transmissions from the likes of Cloaks and Raime. In advance of its release, the label 3by3 are giving away one of its tracks, 'Knuckledragger', which previews the record nicely. You can listen and download below. Another welcome addition to what Ryan Diduck called The New Bleak? Perhaps, but then there's nothing new about this Bleak - Broadrick's scorched earth visions have been around for far longer than most people exploring these sounds now, and thanks to his work with The Bug's Kevin Martin in Techno Animal have proved hugely influential on a whole range of current electronic artists.